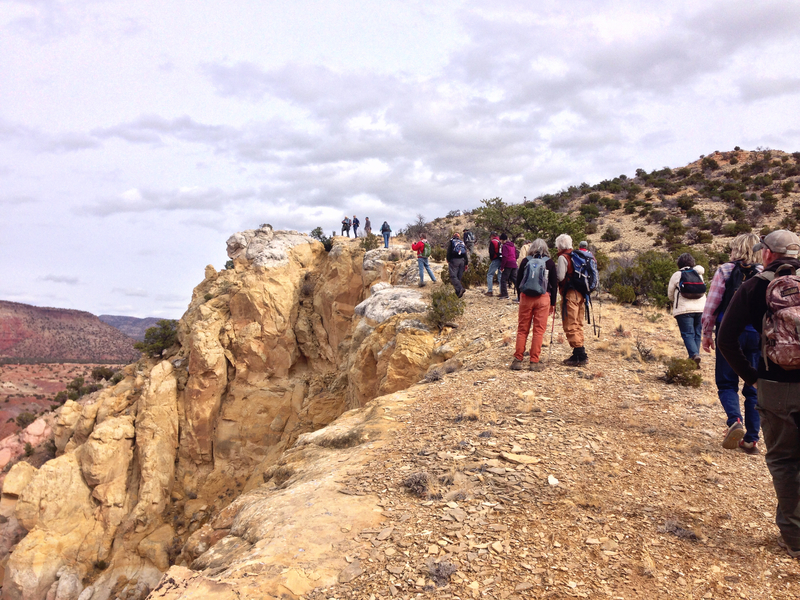 Last Saturday New Mexico Wildlife Center hosted our first science excursion- a geology hike near Abiquiu, New Mexico. Our guide was the fantastic Kirt Kempter, geologist and extraordinary photographer. Kirt is one of the best interpretive speakers I’ve ever met, and he does a wonderful job explaining geology. 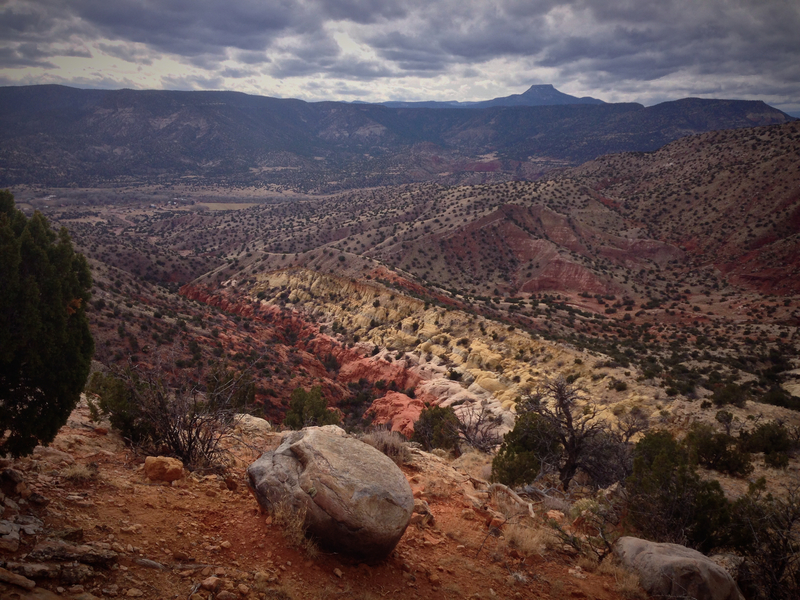 We hiked up Red Wash, which opens into Cañon de Cobre, or Copper Canyon. 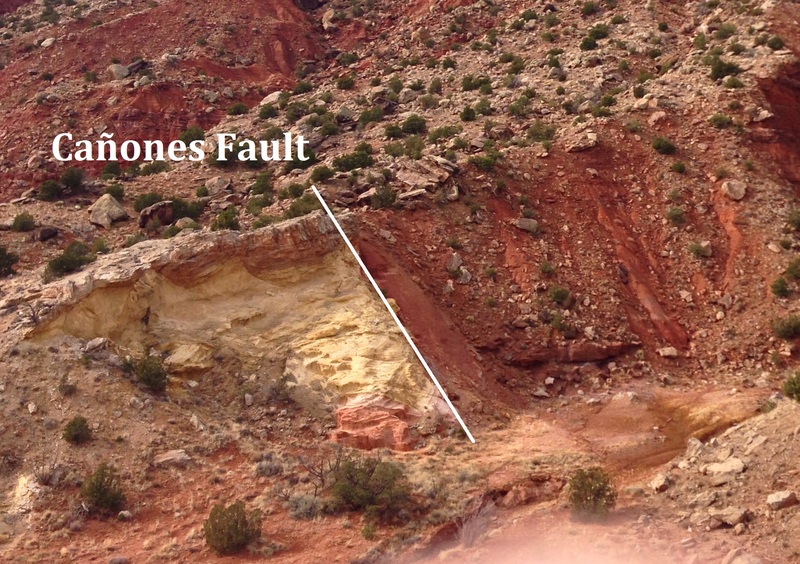 Along the way, Kirt explained the features that we observed, including Ritito, Entrada, Todilto, and Shinarump formations and the Cañones fault, which divides the Colorado Plateau from the Rio Grande Rift. 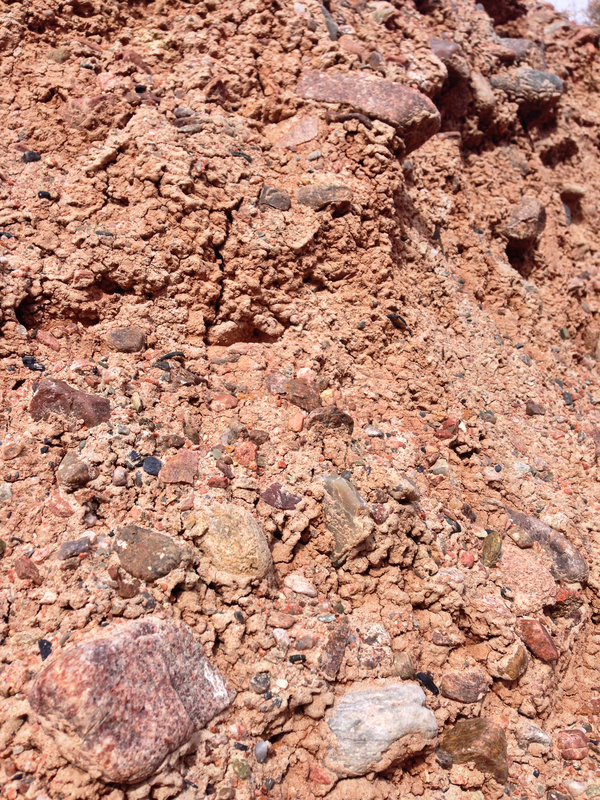 Many people think igneous rock and volcanoes when they think of New Mexico, but the area around Abiquiu has a good deal of sedimentary rock. There are several lovely conglomerates. 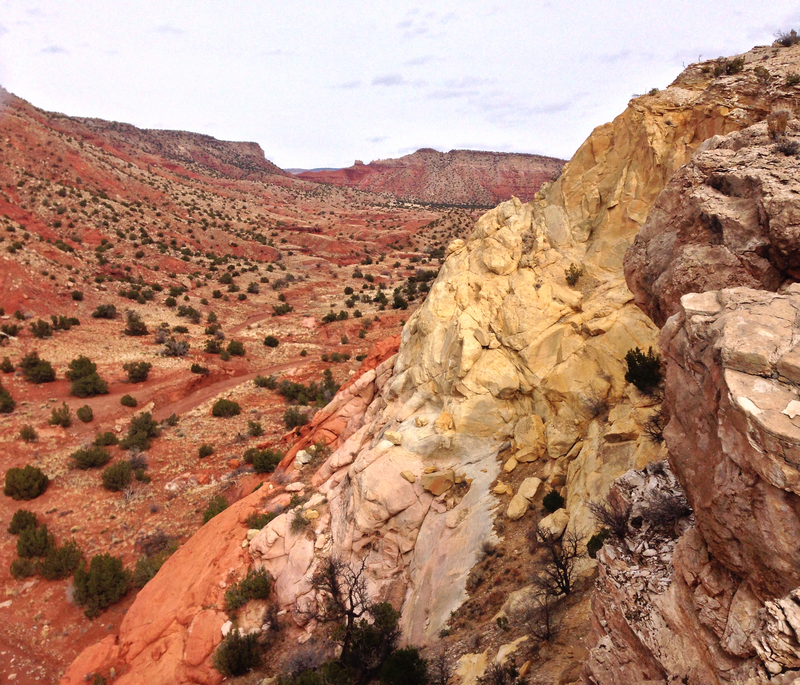 The Entrada Sandstone in this area is also unique with its layers of orange, cream, and yellow. Kirt pointed out that rivers have the power to deposit sediment, erode rock, or just move through a landscape. The Rio Chama has done all of these during its life, and changes in the river (and others) have greatly sculpted the landscape. Copper Canyon is massive, and we only hiked a short distance into it. Fortunately the weather was perfect for this hike- overcast, but not too hot or cold. We also had a great group of people. NMWC thanks everybody who joined us on this hike, and we are deeply thankful for Kirt Kempter, not only for guiding this hike, but for donating one of his incredible photos to auction off during the hike! 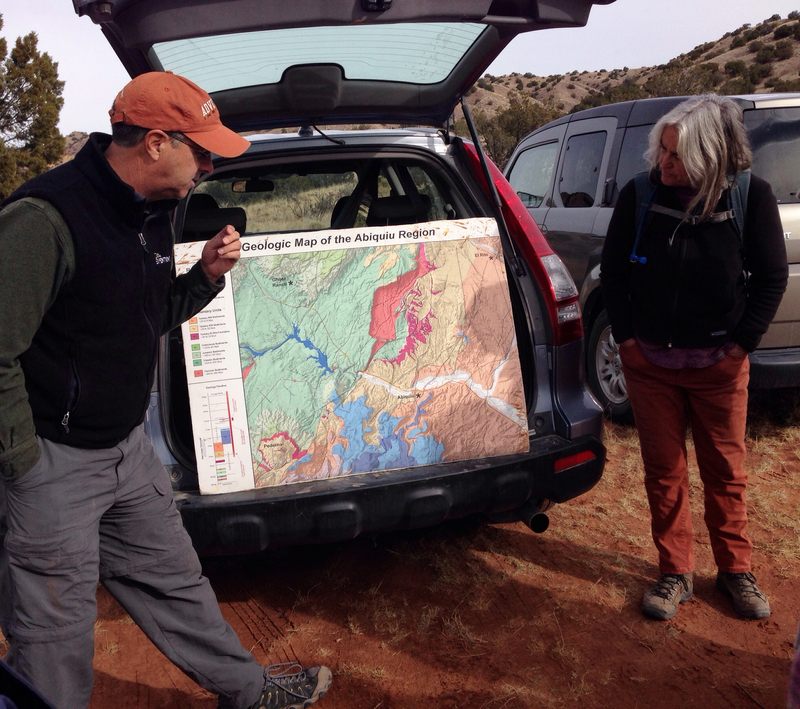 We’re lucky to have incredible geology in New Mexico, but we are even luckier to have scientists who spend time understanding geology and who have the patience to explain it to us!